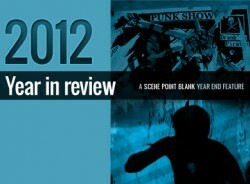 It's time to complete our year-end coverage, summing up the best things 2012 has had to offer. In our now-customary roundup, we uncover the best EPs, hip-hop records, mixtapes, album artwork, live shows, free albums, worst releases, reissues and a ton more - all from 2012. If you feel like you missed a few things this year or want to know where to start in catching up, this is for you. 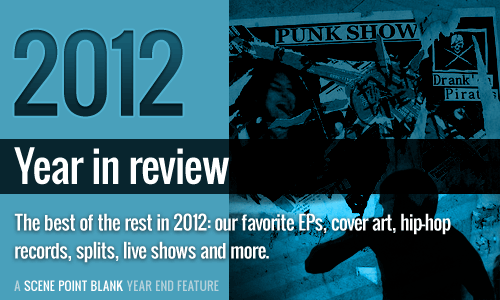 You can also check out our Best of 2012 list (for albums released last year) and our 2012 Pass The Mic feature, where we ask tons of bands, labels and industry figures about their experience of the last year in music. Enjoy. Pro tip: Use the menu below to skip to a specific review list, or page through the whole feature. Words by the SPB team on Jan. 20, 2013, 7:13 a.m.
Posted on Jan. 20, 2013, 7:13 a.m.
Posted Jan. 12, 2013, 7:02 a.m.
Posted Jan. 5, 2013, 11:29 p.m.
Posted Jan. 2, 2019, 12:43 p.m.
Posted Jan. 2, 2019, 12:41 p.m.
Posted Dec. 22, 2018, 1:54 p.m.